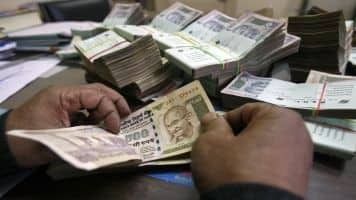 According to a report by Prime Database, 15 buyback offers were concluded last fiscal with a total acquired sum of Rs 1,713 crore, while the amount on offer was Rs 1,763 crore. Indian firms bought back shares worth over Rs 1,700 crore from public in 2015-16, achieving 97 per cent of the target. The total amount on offer in the past fiscal was the lowest in seven years. Of the 15 offers, 11 were through the tender offer and the remaining four were via the stock exchange mechanism route. In comparison, as many as 20 buyback offers were completed in financial year 2014-15 with a total acquired amount of Rs 1,909 crore. The companies had targeted to repurchase shares to the tune of Rs 6,816 crore during the period. Buyback involves purchase of outstanding public shares by a firm to reduce the number of shares in the market, leading to increase in promoter holding and improving earnings per share for the future period. Shareholders can participate either through the tender offer route or by selling shares in the open market. In an open market offer, firms can buy shares from shareholders without knowing the buyer, while tender offer involves the company writing to its shareholders individually to know their willingness for sale of shares in the buyback. In terms of buyback offers which opened in 2015-16, there were 16 such offers planning to buy shares worth Rs 1,834 crore. Out of 16 share repurchase programme, 14 of these offers have closed till now, while two offers are still presently open.